When your home or office gets caught in a fire computers definitely feel the heat. 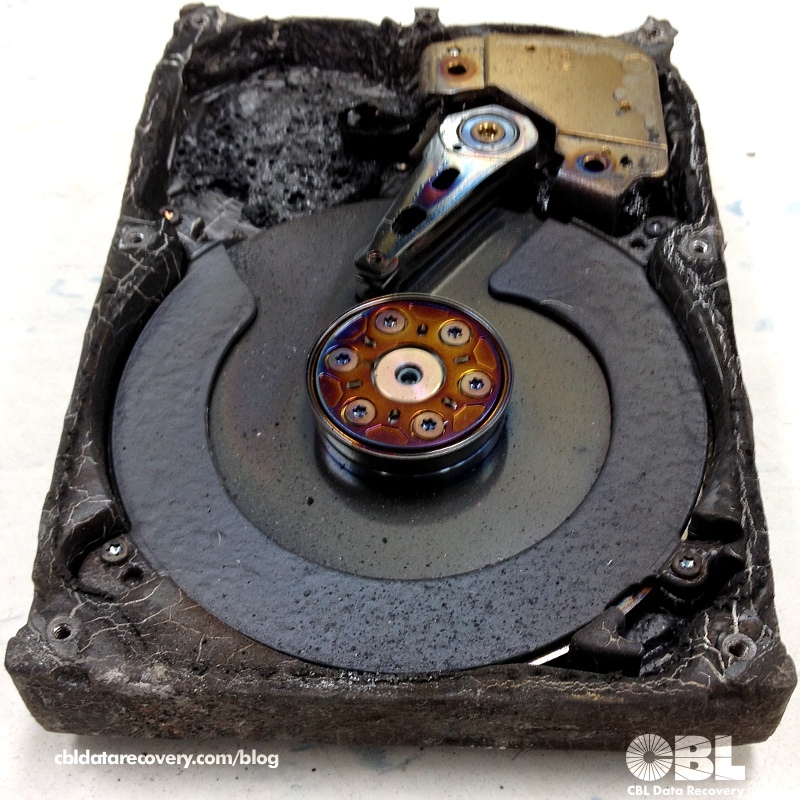 Here’s an example of an extreme data loss situation we work on from time to time. Most companies with any sort of important historical data have archives. Years of old data packed away in the basement collecting dust. However it is important to note that even they can be at risk for disasters. This is what a burnt hard drive looks like. Data Loss Disasters Strike at Any Time. Do You Have an Emergency Data Recovery Plan? In the early hours of August 10, 2008, a horrific propane explosion occurred at a Sunrise Propane facility in the Toronto neighborhood of Downsview. Thousands of people evacuated the area. The majority of residents have since returned to their homes and the clean up and rebuilding of lives continues. As wildfires continue to ravage Southern California, CBL Data Recovery’s San Diego County laboratory remains open. CBL reminds computer users throughout the country that data can often be recovered successfully from fire-damaged storage media.